Cataract surgery has undergone tremendous technological advances. This year, millions of patients will choose to have both their vision and their lifestyles restored, thanks to this life-changing medical procedure. Today, we have a multitude of options. We perform premium intraocular lens which allow restored vision for distance and reading without glasses (75% of the time), toric intraocular lenses to eliminate astigmatism, and standard monofocal intraocular lenses. We also perform special procedures to eliminate your astigmatism to allow clearer vision without glasses. A cataract is clouding of the natural lens inside your eye. This lens, located behind the iris (or colored part of your eye) works just like the lens of a camera-focusing light images on the retina, which sends the images to your brain. The human lens can become clouded and prevent light and images from reaching the retina. Eye injury, aging, UV light, medications and certain diseases can cause cataracts. 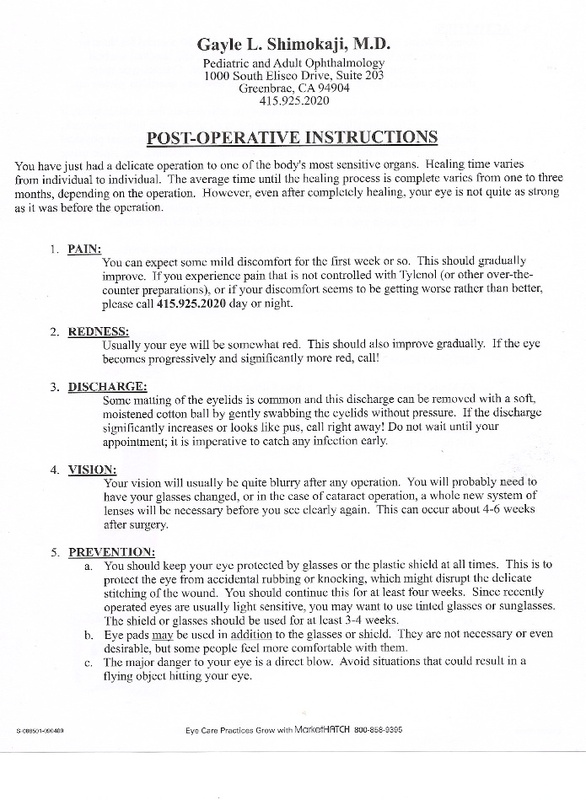 The best way to take care of the cataract is with surgical removal. The time to have your cataracts removed is when the quality of your vision begins to put limits on your activities or enjoyment of life. For most patients, life without glasses is something most people have dreamed about. Today, we have multifocal lenses to give you a high level of glass-free vision. 80% of people can read a book, work on the computer, and drive a car- day or night- and play golf or tennis without glasses. Cataract surgery is performed on an outpatient basis and requires a few hours from start to finish. Your eye will have an anesthetic so you will not have discomfort. A tiny incision is made and a specialized instrument will break up the cloudy cataract. The lens is folded through the tiny incision, usually without any stitches! After the procedure, you will rest a short while and go home. You will wear a shield overnight to protect your eye. 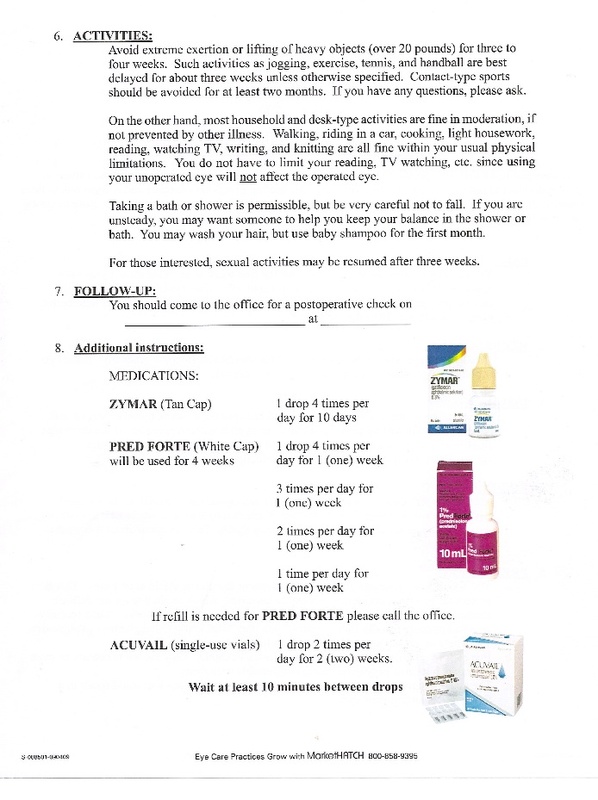 You will be examined the next day and start your drops. You will wear a protective shield at night for about a week. Everyone heals at a different rate, and the range is one week to six weeks. Most patients can return to normal activities the next day. It is best not to schedule excessive exercise or hard labor in the next few weeks. Once both eyes are done, most people will experience excellent vision. As with any surgical procedure there are inherent risks, and your results cannot be guaranteed. Discuss any questions with Doctor Shimokaji.